Bright, colourful and bustling are some of the words to describe this vibrant town. 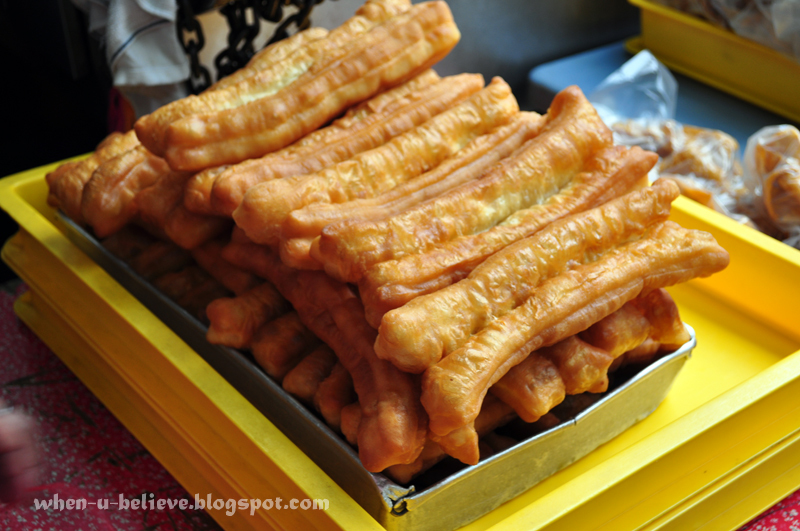 Also known as "Chee Cheong Kai" as fondly called by the Malaysian Chinese. 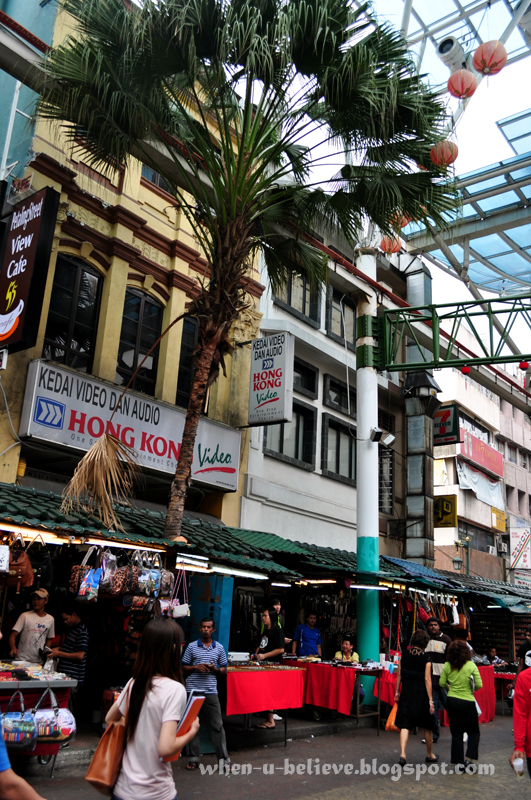 It is an area which never sleeps at the heart of the city, Kuala Lumpur. Being a photography enthusiast, I've took a journey down town to photograph the people and the culture at the streets. We took an lrt to the Pasar Seni station and had a strolled around the streets. 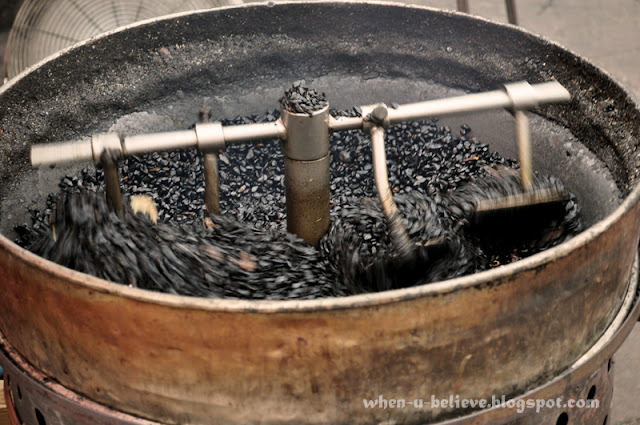 It was just like we had imagined it, a town deeply immersed in Oriental culture, heritage and history. A tree that grow in between stalls! 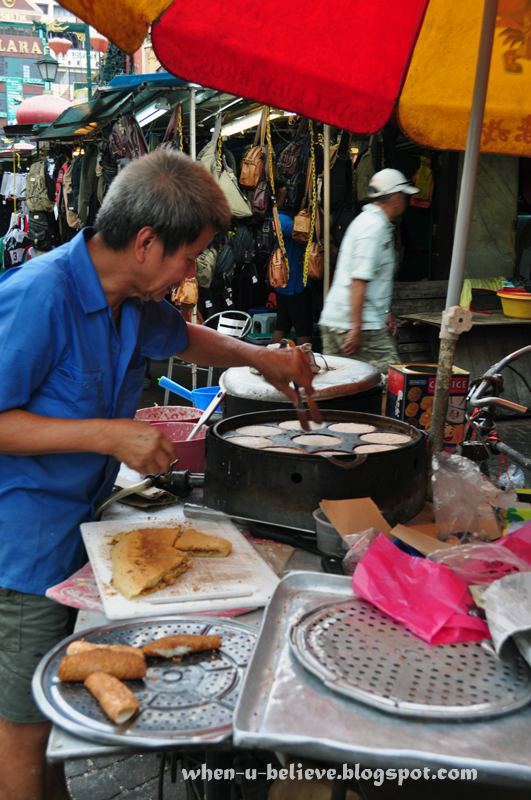 Ever wonder why the street is called "Chee Cheong Kai" by some of us? Looking back at history, the name originated to its roots as a tapioca-producing district. Undoubtedly one of the most popular tourist spots in Malaysia, it is filled with people from all walks of life, different countries and of course the Chinese. 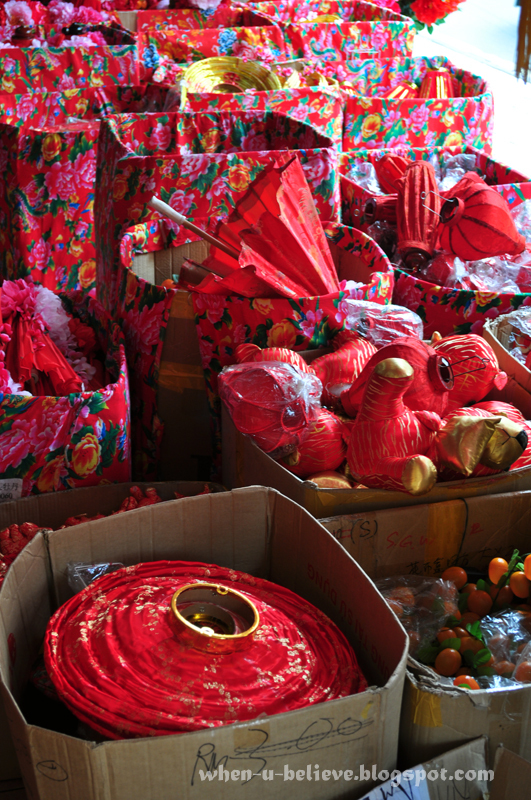 With Chinese New Year (CNY) just around the corner (February 3rd 2011), stores are quickly filled with red, and other bright and colourful auspicious decorative goods. 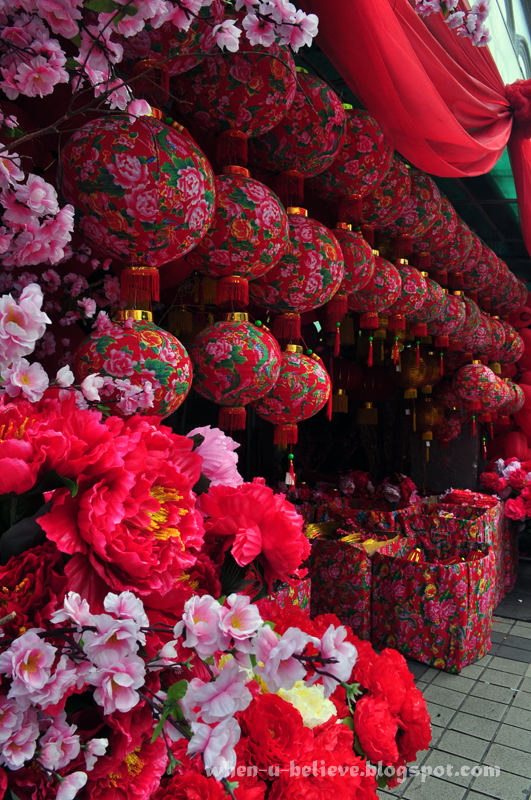 Streets had just begun the CNY decorations of bright red lanterns. We stopped by one of these stores to stock up decorative items our house in time to usher in the new year. More and more creative lanterns this year. Traditionally back then was simple lanterns in red with auspicious idioms or words to blessed the family with happiness, wealth and good health for a wholesome and prosperous, new year. Wording were calligraphy or painted art or maybe printed. Something different this year in some of the lanterns, saw a lantern with peonies and mandarin oranges decorated on it as well as flower prints. 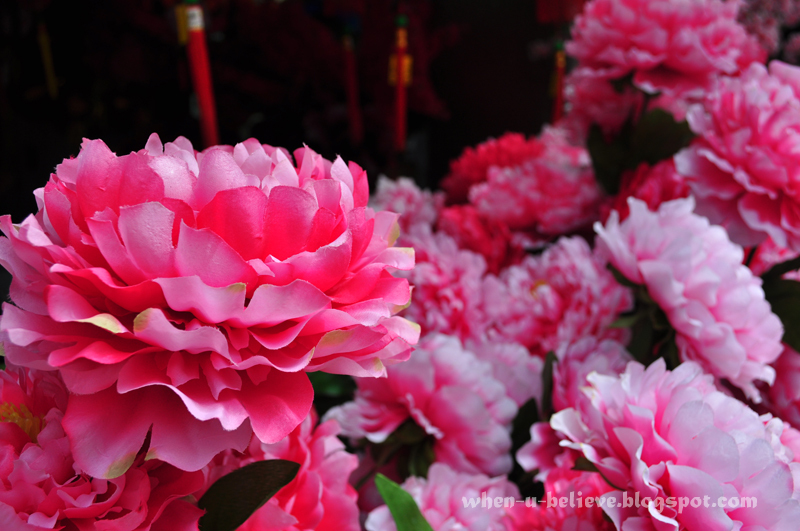 Peonies are the symbol of love and romance for the Chinese. 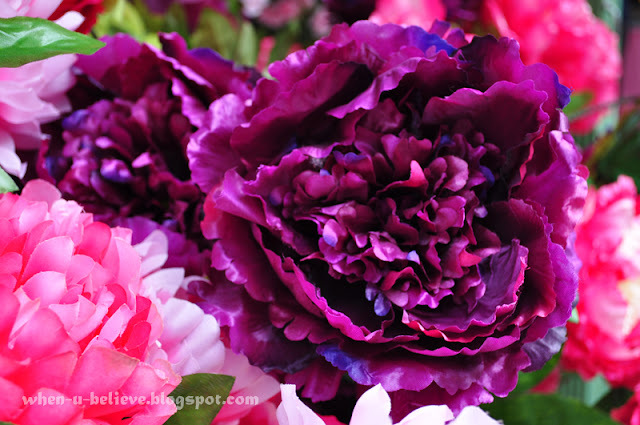 It is one of the purest flowers, the queen of all flowers. Love this purple one, it's so vibrant, and huge! After the new year shopping, we walked further down to the main street of Chinatown.... And it was truly a gastronomic feast! 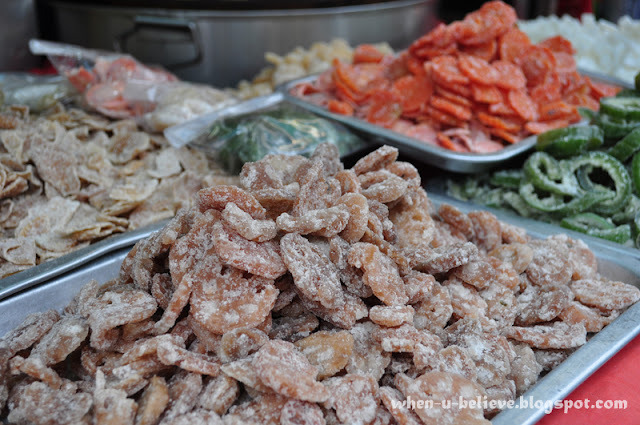 We found so many delicious, authentic Chinese Hawker food and finger foods. We will definitely find time to make a trip down here again. 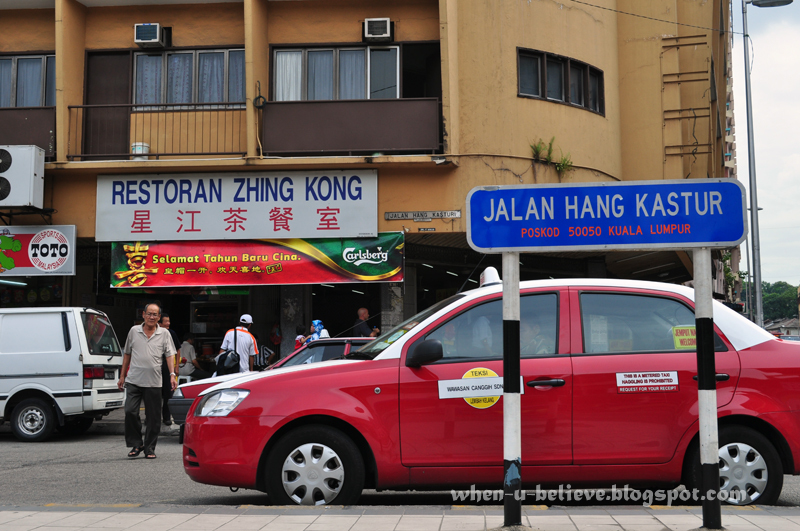 Our first stop, Restoren Zhing Kong along Jalan Kasturi. Missing an "I" here at the street signs. The place for the famous and awesome beef noodles as well as other good food. Not to forget is the stall we must come every time we go to Chinatown. The chee cheong fan served with the finest homemade, red coloured sauce. 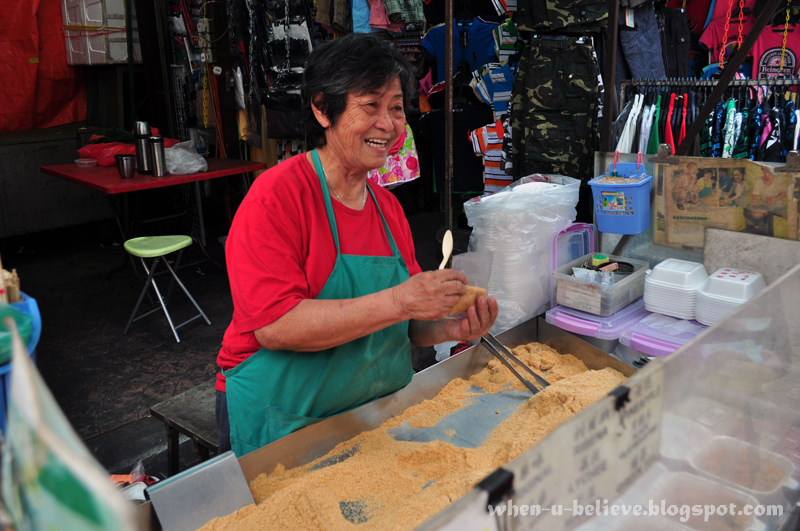 We came across an old lady selling "mua chi" (mochi). This friendly "poh poh" (grandma) who passion in making these delicious glutinous rice dessert with peanuts had been selling for many years and vow to never retire. We bought mixed flavours. Slightly larger than the ones we usually buy from "pasar malam". 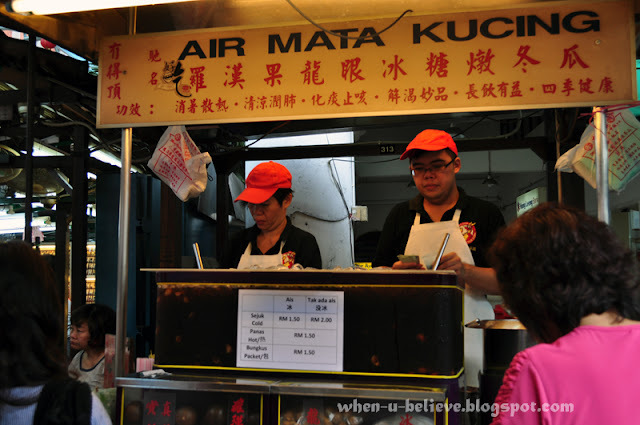 Another delight here is the "Air Mata Kuching", great to quench the thirst and a remedy for heat due to the hot climate here. Our trip was short but memorable. 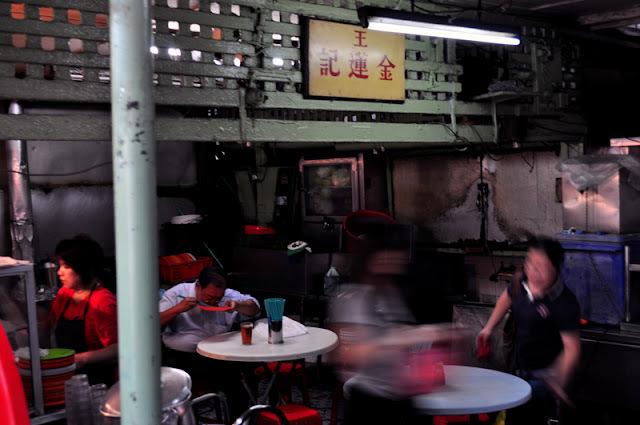 There's definitely more to Chinatown and its food, recipes of hundreds of years passed on from generations to generations. Unfortunately, we got to make a trip home and cut this journey short. For more entries around the world, click here. Shalom Kristin. Thank you for this big and colorful tour! What a pleasure. What a wonderful place! Love all the deliciously vibrant red colours. Those red lanterns are really so attractive. I so look forward to the CNY here in Chinatown, Los Angeles. China town is rally very interesting. Thanks for sharing. Wow what bright colors! I want to visit KL again. 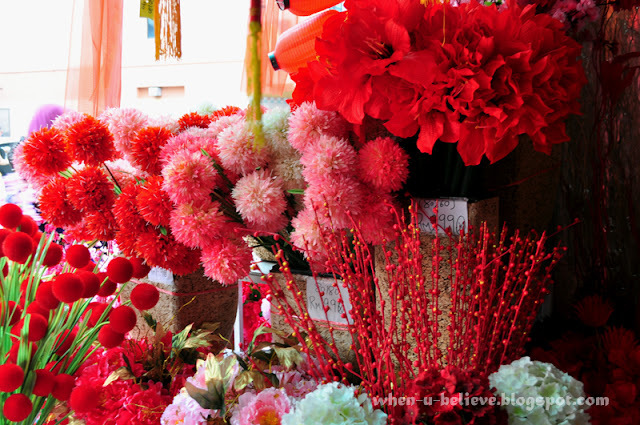 The peonies are gorgeous and the red with the colours of Lunar New Year. Beautiful views of the town. Very colorful. That looks like a very vibrant area, a lot of fun. Nice shots! Those sumptuous images make me feel like I am there. 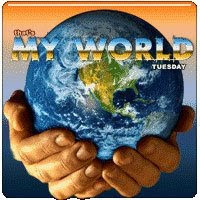 I wish I were! Thank you for this interesting tour of a part of the world I know little about. Amazing shots ... and thanks for visiting! Such beauty and bright colors! Wow! Such a colourful and beautiful place.